← HELP – I’M MELTING! Thanks to Barbara and Mary we know that this lovely old bush at Mt. 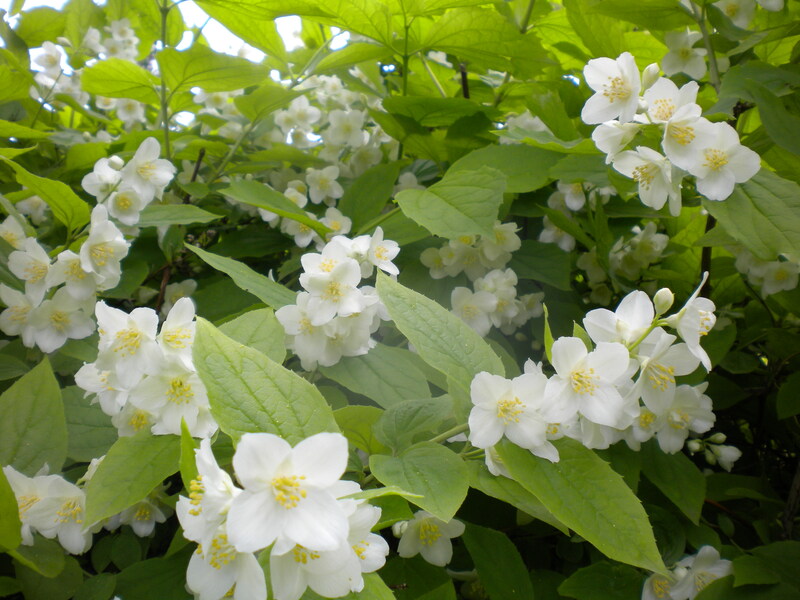 Faith is a Mock Orange. And cousins Marlene and Maryanne identified the sand cherry. But now here’s my latest consternation and garden question. What a trouper. In days, it seems, it has flung its tendrils all across the side porch and taken over the entryway. I am impressed by its tenacity but taken aback because once again, I am confronted by a bit of bad feng shui. That’s the bottom line. Plus the inconvenience of not having proper access to our very nice side garden door. So it seems that the best approach would be to hack it back a bit and then perhaps wait until fall to transplant to a happier place. I must admit that I like it a lot. 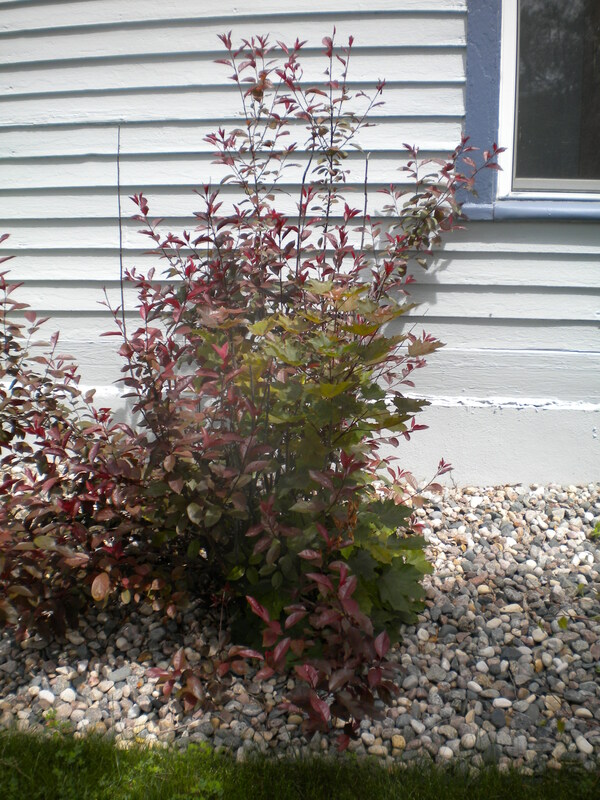 It has lovely red stems and lustrous leaves. And is obviously very hardy. So – who is this interloper? 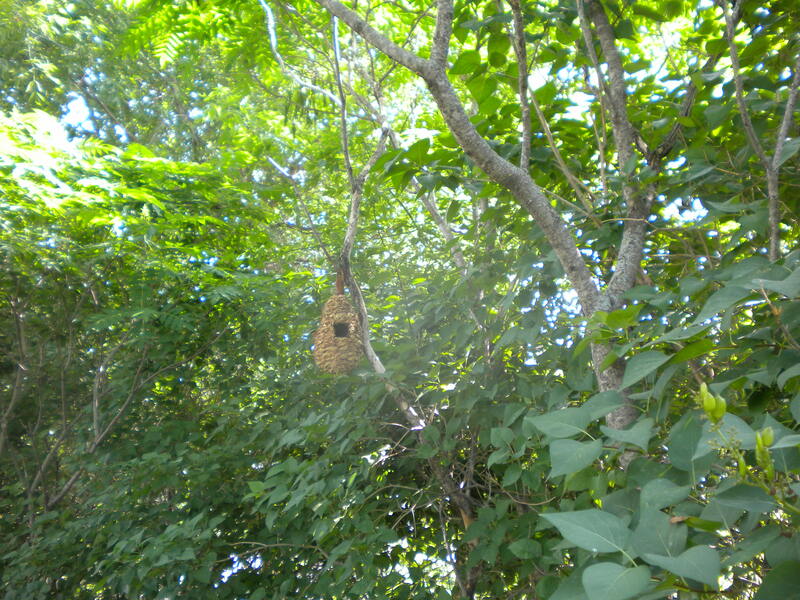 The other garden question this week has to do with the very industrious bird who immediately took over one of my woven nests which I hung in the shrubbery. But I think I have figured it out. It’s a wren. All my bird books identify this little busy-bee as the rather small (4-5 inches) garden friend who actually likes to inhabit the bird houses we hang about the yard. And someone immediately moved in. And I mean the first day! Well, probably not completely “moved in”, as I have been seeing the in and out activity for the past few weeks and while it has been constant – just like us, it hasn’t been what I would consider “completely settled”. In fact, when I checked out the tendencies of the wren, it seems that the male usually shows up early and first in the spring, checks out various properties, makes a stab at as many as TWELVE possible habitations while starting to bring in the basics (futons and ice chests and the like) in all the “listings” until he can attract a mate and give her the tour. She evidently “checks it out” and decides on the chosen residence and then proceeds to finish the decor and get to work on the kids. I’m hoping our listing wins. We’re all working on getting our houses together. 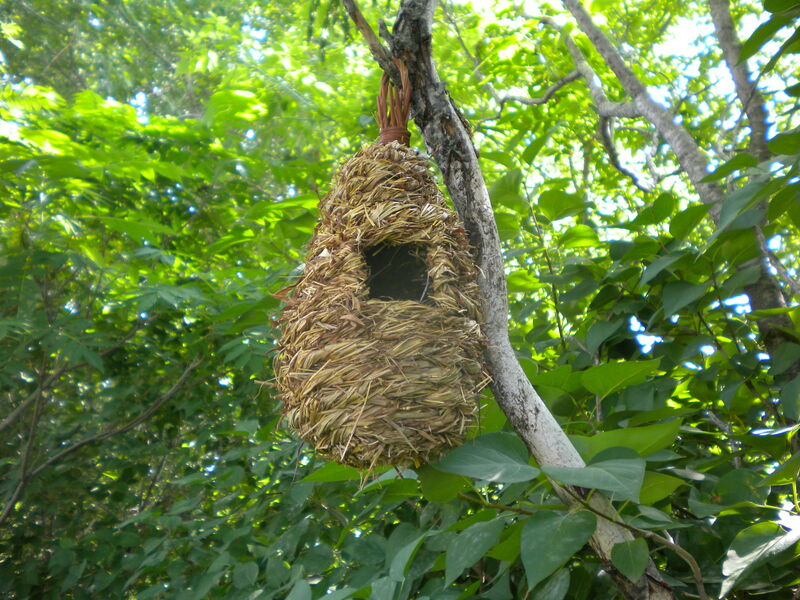 This entry was posted in Birds, MOVING, remodeling, Wild Life. Bookmark the permalink. 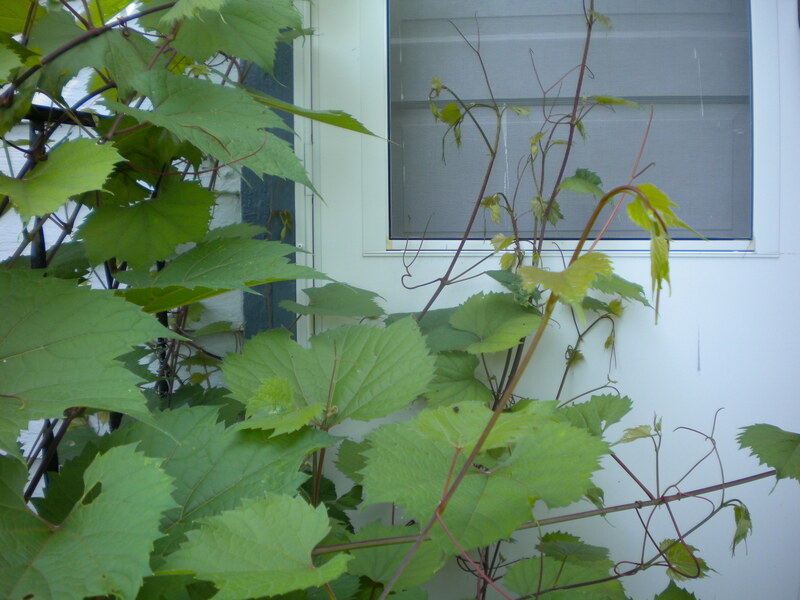 I THINK that is a grape vine. It is invasive and spreads rapidly. I have some that starts to climb on our wood fence from our neighbor’s yard. It would take over my clementis and choke out anything else it can reach. I HACK it back ruthlessly whenever I see it peak through my fence.